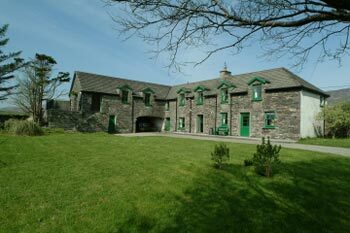 The Stables is an unusual L-shaped, stone building, originally a barn/stables for Westcove House but offering plenty of privacy for its guests. 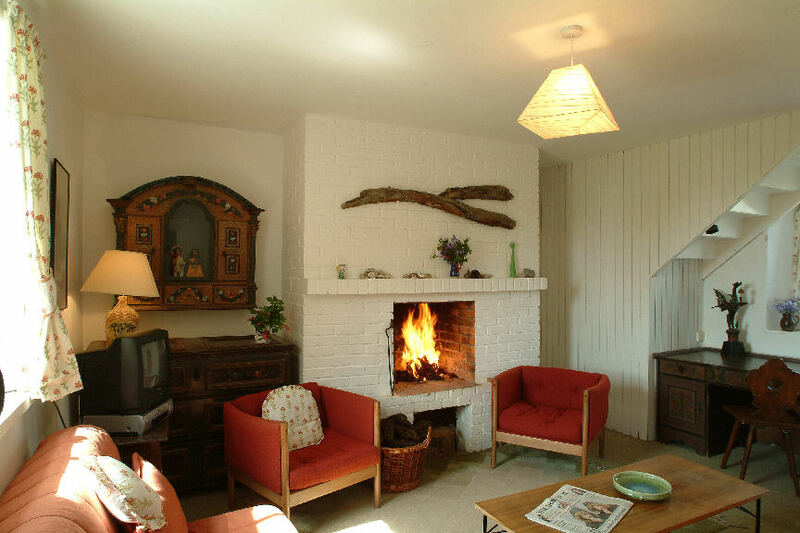 Restored and converted in the 1960s, it has been updated over the years, has all modern conveniences and sleeps up to 11. For larger groups, it is an ideal annex to Westcove House – especially for young families. The airy, open plan kitchen/dining area is fully equipped and is spacious enough for everyone to come together… but there are also enough private spots if you need some quiet time. 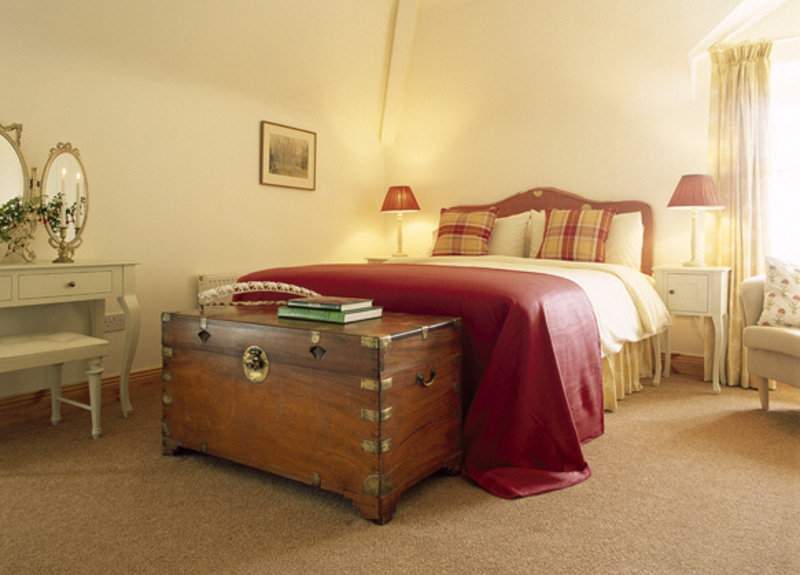 The cosy sitting room has an open fire and the comfortable bedrooms will help ensure a peaceful night's sleep. 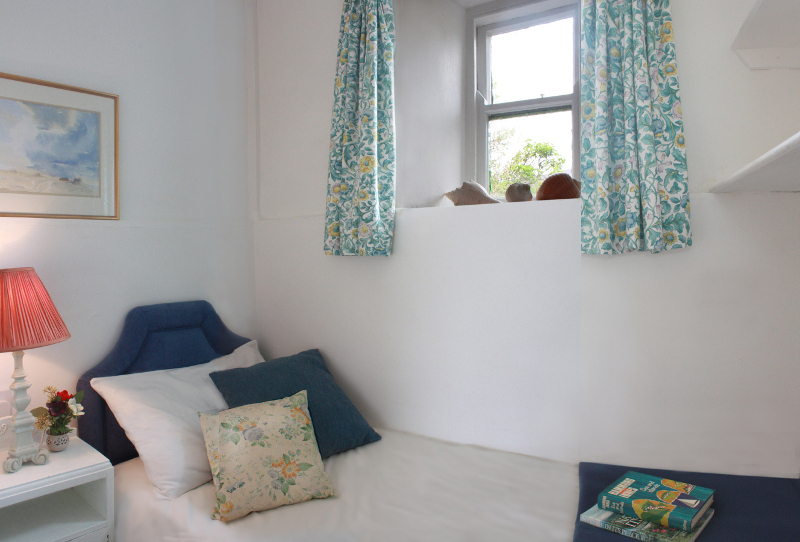 All the bedrooms upstairs have lovely sea views. The Large Games Room is one of the Stables's main attractions, with table tennis, table football, dart board and a selection of other games – all of which can be stored away – making this a very flexible space… It has stackable chairs, many power points, a flip board and screen when needed for classes, meetings demonstrations etc.… Most importantly though, it becomes a fabulous 'party room'… we are now able to provide a celebration seated dinner in here for up to 54. Our Irish dancing/musical evenings, with live music, popular with all ages, have proved to be the highlight of their stay for many of our guests… it also makes an excellent disco area for weddings! 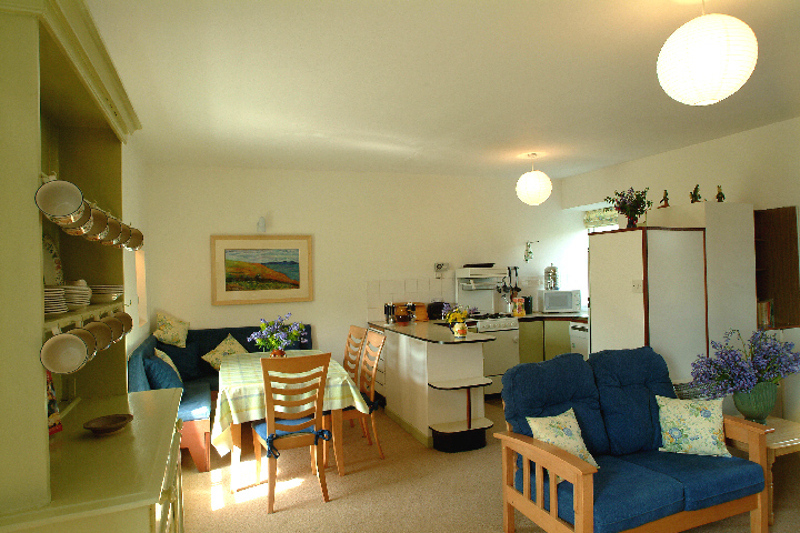 This room is reached from the upstairs landing and through the studio, but can also be accessed from the outside, and facilities are shared with guests of Westcove House, by mutual agreement, if rented separately. The Studio is a perfect 'den' for those wanting to chill out, with its comfy sofa, chairs and snooker/pool table… This can be folded away should artists/art groups wish to take advantage of the northern light and the inspiration of the fabulous surrounding area. 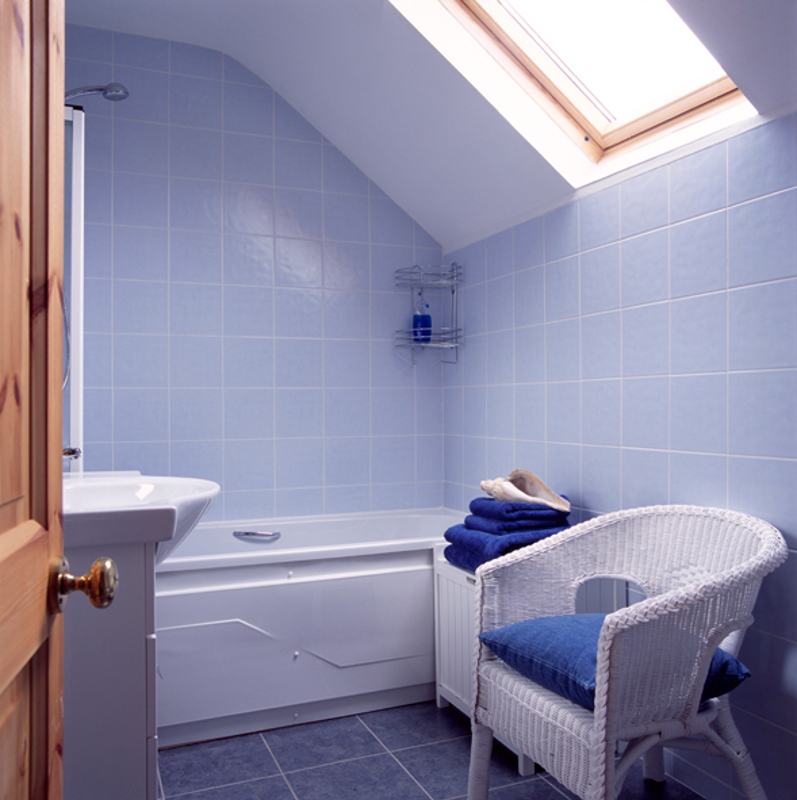 Accessed from the outside and shared with Westcove House is a small exercise room, a sauna, a 'wet room shower' and a cloak room… The laundry room for the Stables is also in this area. Outside… To the south of the Stables is a patio with garden furniture and a barbeque. A large lawn provides a perfect play area for all ages, and a small swing/slide set is popular with younger children. We have a volley ball net, which can be erected, and a selection of other outdoor games This is also an ideal spot for a marquee, making Westcove the perfect setting for small weddings and other celebrations. It has even been used as a helipad! 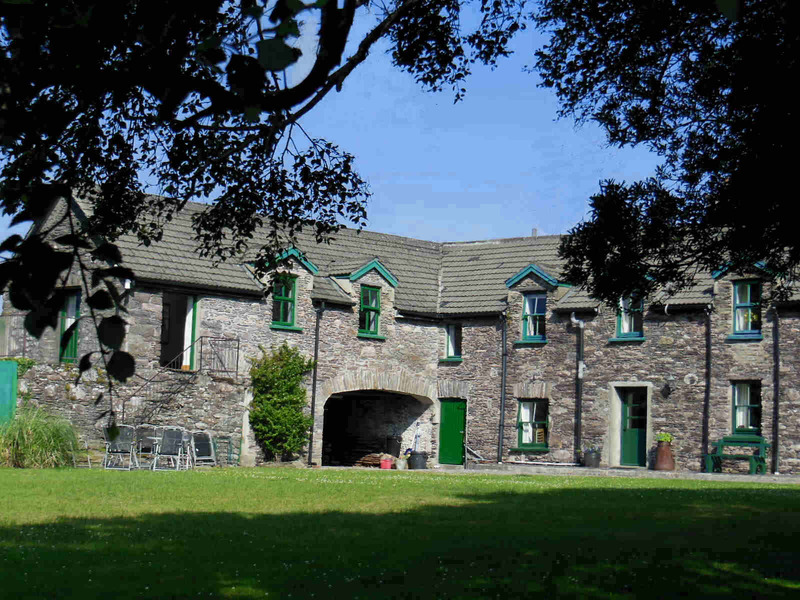 Owner's Note… We are usually reluctant to let the Stables separately between May and October as the three properties together make a very popular venue for extended family get-togethers and other reunions. 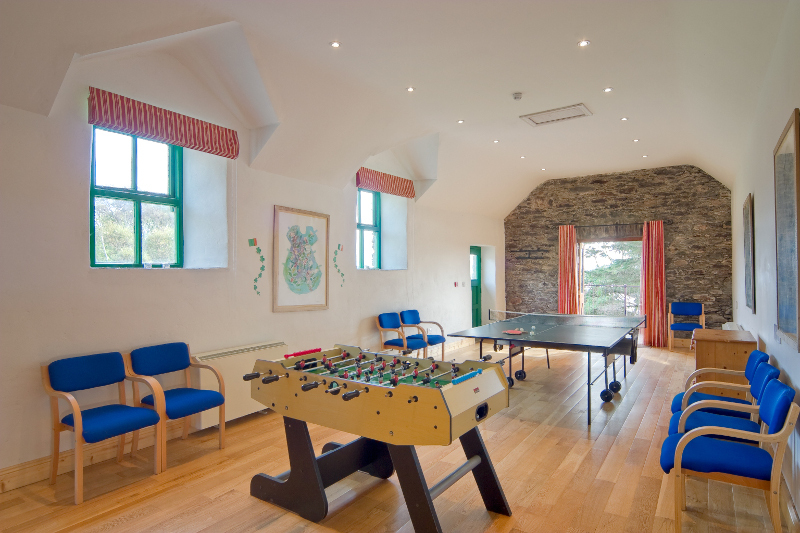 However, do check the calendar and contact me as this restriction does not always apply – when we ourselves are staying at Westcove House for instance, the Stables is often available on its own – and we very seldom use the games room! is located within the overall Westcove site. Sitting Room Comfortable room with open fire, TV/DVD and Radio/CD player. Kitchen Open plan with gas oven, microwave, fridge/freezer, dishwasher. Dining area seats up to 10. This includes a spacious play area. 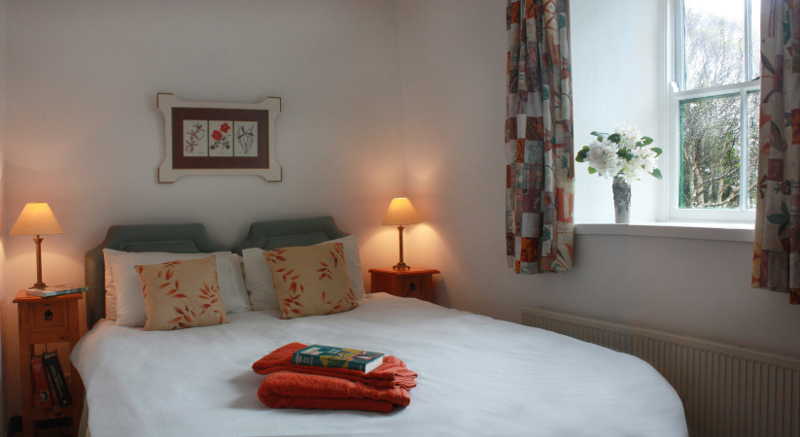 Bedroom Five Small, with 5ft double bed (convertible to two, 2ft 6in single beds, if required). Bedroom Six Very small, with a single bed. 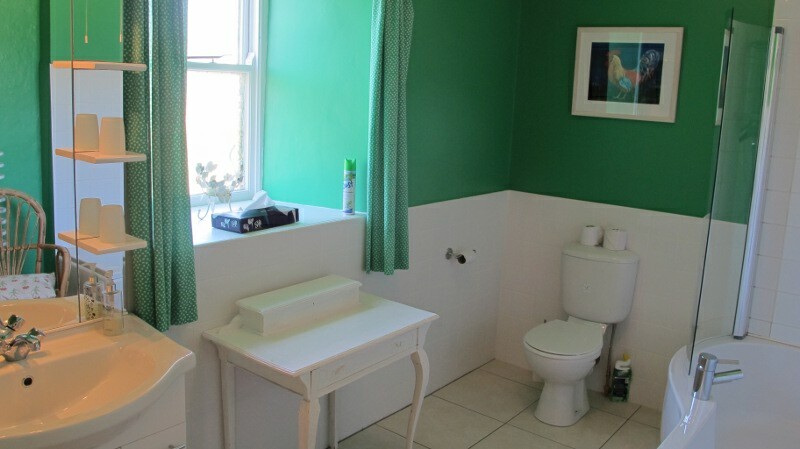 Bathroom Large, with shower over bath, loo, basin and heated towel rail. Laundry Room Now approached from the outside with washing machine, tumble drier and heated drying area. Sauna & Exercise Area A joint facility also approachable from the outside, includes a sauna with "wet room" shower, a small exercise area with a crosstrainer and a loo. Bedroom One Large, with five-foot double bed, vanity unit, and en suite shower room. Bedroom Two Spacious twin bedroom with basin. Bedroom Three Small, with two single beds, one of which can slide under the other to make a comfortable single room. Bedroom Four Small bunk bedroom, lower bunk is 4ft wide - comfortable for single adult. Bathroom With power shower over bath, heated towel rail, loo and basin. Shower Room Electric shower with loo and basin. The Studio Down a couple of steps from the bedroom area is a large north facing studio with a small snooker/pool table which can be folded away when space is needed by art groups. Complete with a sofa and armchairs, this also makes an ideal 'hideaway' for teenagers. Games Room The huge Games Room, leading off the Studio, is very well equipped with table tennis/football and other games. It also converts well into a small meeting/party room as it has 30 stacking chairs. Irish live music/dancing evenings can be arranged for special celebrations – very popular with all ages! The Games Room is also approachable from the outside and is a facility shared with Westcove House by mutual agreement in the unlikely event that they are let separately.